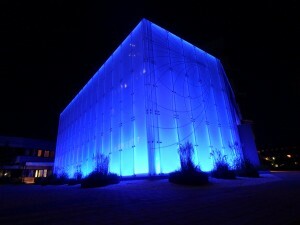 Electronics Centre in Halmstad (ECH) is an innovation arena for regional cooperation in the field of electronics, where small and medium-sized companies with common technical challenges are forming a regional knowledge/resource cluster in collaboration with Halmstad University and the public sector. ECH is a shared R&D entity with resources such as advanced electronics labs, EMC testing facilities and an arena for building “know how” in terms of research and education. See the page menue for more information about test facilities, bookings and contact details to test engineer Per-Olof Karlsson. The focus of ECH is integration of electronics in everyday products to make them “smart”, which provides a substantial added value and competitive advantages, and represents an important innovation potential of traditional Swedish manufacturing industry. The potential growth of the electronics field is huge, it is estimated that the development of the “Internet of things” means that there will be over 50 billion connected electronics units in 2020. Applied research, innovation and knowledge-building in the field of electronics integration is a prerequisite to be successful within the global ecosystem that is emerging around these new “smart” products. Identified research subjects in focus at ECH are, next generation electronic building practice, electromagnetic compatibility (EMC), and low power design. 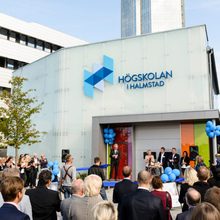 Cross-fertilization with the Centre for Health Technology in Halland (HCH), and the Centre for Digital Security Studies (CDSS) under formation, will “enable interesting and potentially groundbreaking intellectual combinations” leading to new research as well as development of innovative education program.